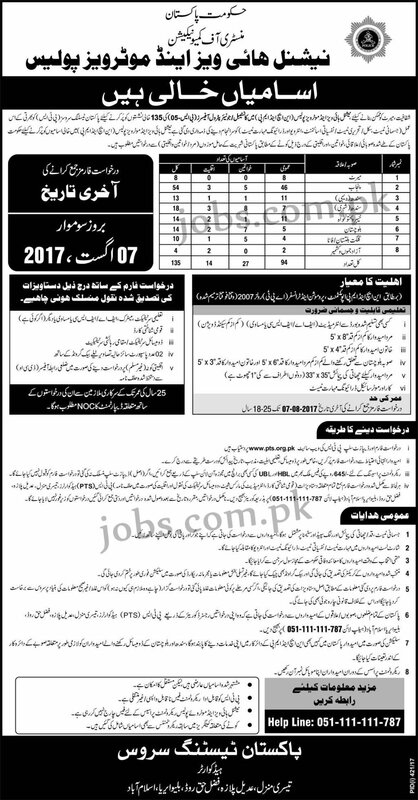 National Highways & Motorway Police (NHMP) Jobs 2017: NHMP is inviting applications from eligible candidates for 135+ Constables / Junior Patrol Officers. PTS is conducting the recruitment / screening test that include physical test, skill/written test, psychological assessment, interview and driving proficiency test. Required qualification from a recognized institution, relevant work experience and age limit requirement are as following. Eligible candidates are encouraged to apply to the post in prescribed manner. Incomplete, late, hand written submissions/applications will not be entertained. Only shortlisted candidates will be called for written test/interview. See the notification below to see vacancies/positions available, eligibility criteria and other requirements. 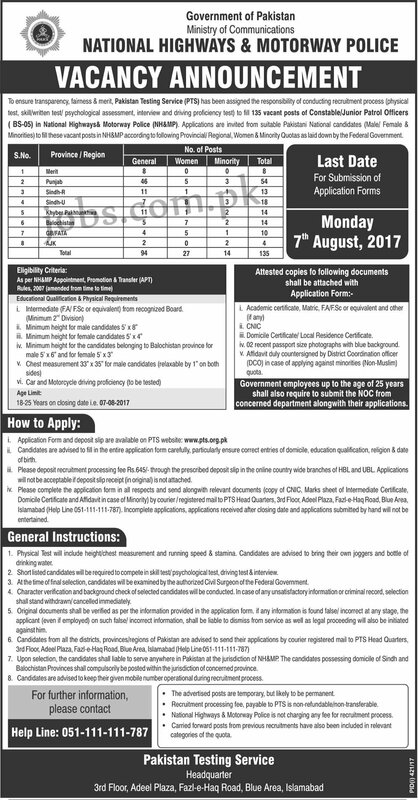 Eligible candidates must submit applications on or before 7th August 2017.